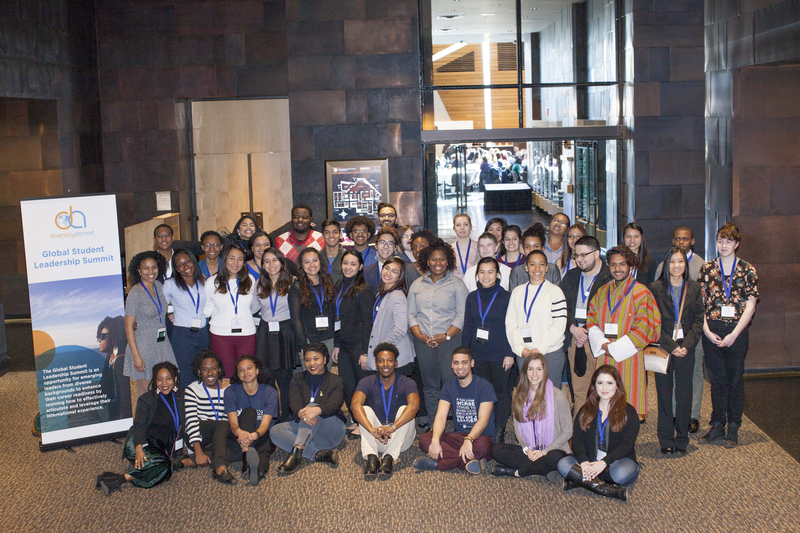 From March 19-22, Diversity Abroad hosted The Global Student Leadership Summit (GSLS) at the University of Minnesota during the 5th Annual Diversity Abroad Conference. 50 students from campuses across the country converged to participate in an intensive three-day summit that sought to provide much needed space and time for students to critically reflect on their global experiences, particularly as young leaders from diverse and underrepresented backgrounds. Now in it’s 3rd year, GSLS is a unique opportunity for recently returned study abroad alumni to process what it means to be a minority abroad, and how intersecting identities impact one’s cross-cultural experiences. Intensive dialogue-driven sessions on the role of identity and intercultural competencies were coupled with more practical workshops on transforming from student to professional, such as how to craft a sharp elevator pitch and write a strong resume. GSLS kicked off with welcome remarks from Diversity Abroad CEO and Founder, Andrew Gordon. After telling students about how his own experiences overseas inspired him to start Diversity Abroad, he introduced Keynote Speaker, Latanya Mapp-Frett, Executive Director of Planned Parenthood Global. Ms. Mapp-Frett set the tone for the summit by telling students how the most successful moments in her career were influenced by skepticism from those in her inner circle. She challenged students to trust their gut, and to make choices that they felt were right, no matter how wrong others thought they might be. New components to GSLS this year included the opportunity to hear from industry professionals across various sectors about the benefits of being globally minded. Students met representatives from tech companies, international law offices, the U.S. State Department and Peace Corps to hear them speak about their experiences abroad, and how global competencies are valued in their respective fields. Students then had an opportunity to mingle in a more relaxed environment during the Career Reception, where additional guests from the State Department, the School of International Service at American University, and the Public Policy and International Affairs program joined industry professionals to meet with students and answer questions about future opportunities abroad. With more than 21 college campuses and 6 education abroad providers nominating 50 students with study abroad experiences around the world, GSLS truly has become a one-of-a-kind space for diverse students to process how their identities shape who they are both overseas and in the U.S. We look forward to welcoming the next cohort of global leaders in Miami for the 2018 Diversity Abroad Conference!